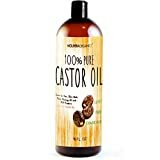 PREMIUM QUALITY Castor Oil for healthy hair and skin – 100% pure, gentle and more effective natural castor oil. No additives, unfiltered and undiluted with no fillers. One of the finest natural skin emollients available. LARGE 16 OUNCE and PREMIUM QUALITY – 100% GUARANTEE – Purchase with complete peace of mind, we are confident that our oils are by far the highest quality and most effective on the market. 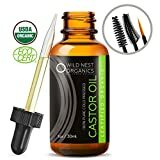 If you are not completely satisfied with Majestic Castor Oil, we will refund your entire purchase.